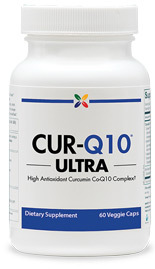 In fact, curcumin's anti-inflammatory and antioxidant benefits can revolutionize your health from head to toe. Curcumin is so powerful that some are calling it the "natural remedy of the century." • Brain: A recent study found that curcumin promotes the production of brain-derived neurotrophic factor (BDNF), a growth hormone responsible for youthful brain function. According to scientists, higher BDNF levels may hold the key to improved memory and sharper thinking as you age. • Cognitive Decline: Curcumin may help encourage the immune system to dissolve the abnormal beta-amyloid plaques that have been implicated in cognitive decline. A landmark clinical trial showed that curcumin has the ability to effectively pass into the brain, bind to beta-amyloid plaques and assist the body in their breakdown. 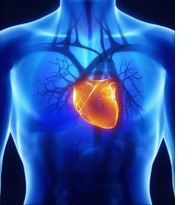 • Heart: Research also shows that curcumin helps prevent cholesterol oxidation, which is the real threat behind the arterial plaque buildup and blood vessel damage caused by cholesterol. It may also work to prevent clot formation, lower harmful LDL and increase healthy HDL cholesterol. My joint aches and pains are almost completely gone! *These statements have not been evaluated by the Food and Drug Administration. This product is not intended to diagnose, treat, cure or prevent any disease. Testimonial results are not typical. Customers may have received a gift certificate after submitting their testimonial. All contents Copyright 2001-2016 Stop Aging Now, LLC. All rights reserved. Republishing of Stop Aging Now content without written authorization is strictly prohibited.